September 24 2018: The halfway point in the first phase of the Mission Critical Open Platform (MCOP) project has been marked by the launch of an official Supporter Program to harness the enormous amount of interest that the initiative is creating. 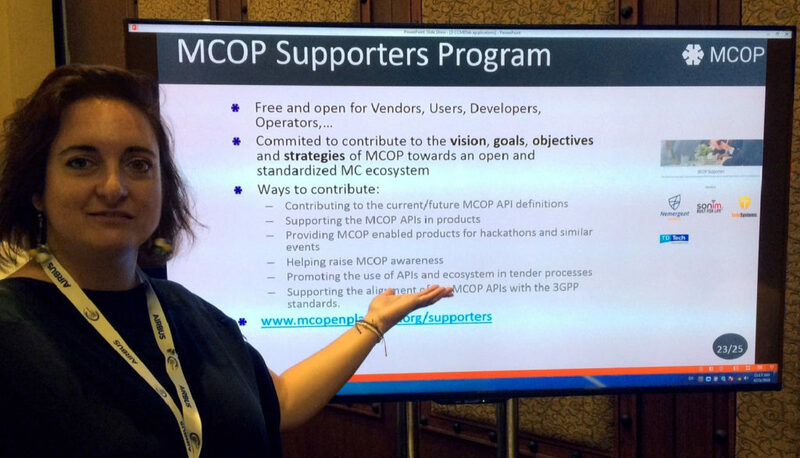 For further information about the Supporter Program and the workshop, please contact info@mcopenplatform.org. The MCOP project, funded by the U.S. Department of Commerce’s National Institute of Standards and Technology (NIST), aims to meet the challenges of the emerging and complex MCPTT ecosystem. The project, set to complete by mid-2019, will define, develop and validate an MCPTT client open platform that identifies neat open interfaces between the different technologies and reduces the integration efforts as well as delivering an online testbed for the applications. MCOP is led by the University of the Basque Country with partners Bittium, Expway and TCCA, supported by Nemergent.